Sorry Graham, previous posts etc., what do you think of the rest of my submission? I don't have the experience to have an opinion. You say it looks like a bog-standard piece of kit, others have said it is rare. I don't know and so am not in a position to judge what may be the best way to proceed here. Fair enough, maybe some mine histerians (sic) can explain why this lump of metal should be left where it is, rather than showed to Joe Public? Maybe a caver could explain why this lump of metal shouldn't be used to transport a nice stal or other random lump of calcite to the surface to be shown to Joe Public rather than left in a position where it might retain some context. The calcite may after all regenerate to some degree, unlike the tub. The basic rules for caves and mines are really pretty much the same; keep your grubby hands off! snip. That said to the uninitiated it does look like a bog standard Hudson skip. So it's a "k" class? What are the differences? It is mainly trunnion pressings, trunnion supports and bearing design which differentiate the WDLR skip from (say) the classic 1930s Hudson "Rugga" skip. Regardless of what has happened up to this point, a group who should have known better entered a mine that they do not own and cut a huge chunk out of a truck which they also do not own. Truck should be left where it is. As well as cutting up the wagon they did not have the permission of the person who's land the mine entrance is accessed from, nor the mine owners. Had they bothered to do any research I'd have been happy to contact the landowner for them and also help them take measurements/casts etc of the wagon itself without doing what they did. But it's a well know fact that landowners have no right to stop cavers doing anything they want anytime they want on their land. and currently he was reasonably happy with small groups of cavers visiting. I would guess that there are not many visitors to the quarry. It took almost a year before the damage to tipper truck became known and that was from the railway enthusiasts blog. The long term risks to the tipper are from a further collapse and it rusting away due to the water which gathers in it. Even metal eventually disappears when left underground due to the effect of the damp. Moving the tipper truck away so it avoids a further collapse might be an option. There is space above the collapse to bring it towards the entrance. Although the original quarrymen chose not to recover it this way. But taking the tipper truck further into the quarry would also be a way of avoiding a further collapse. 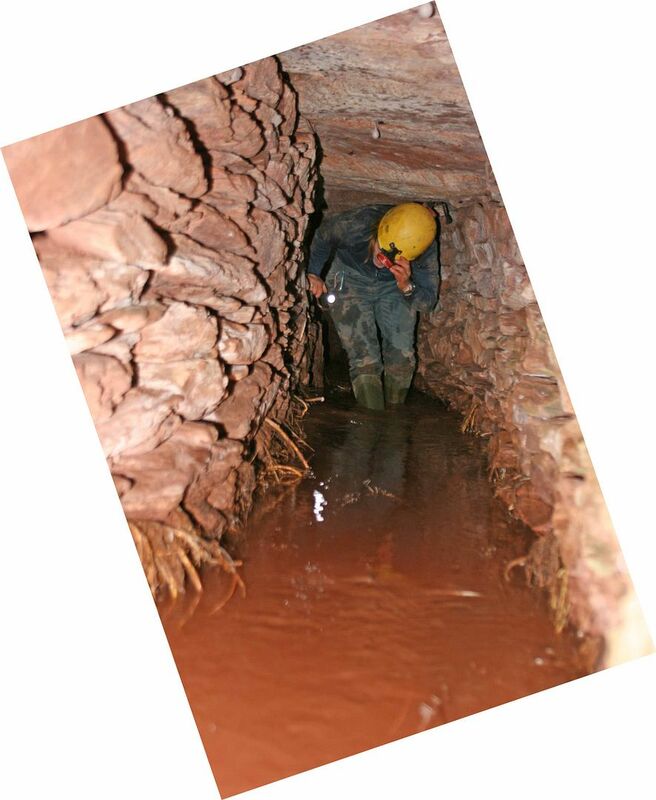 Of course its a problem rarely encountered in caving . Retrieve or leave ? Quite common in the world of diving though where there is due process regarding ownership ( The Receiver of Wreck ). Most long term deep divers have a few " artifacts " and most have been acquired legally. The future looks to be a problem though with anything over a 100 years old becoming " historic ". Most shipwrecks off the UK coast are WW1. 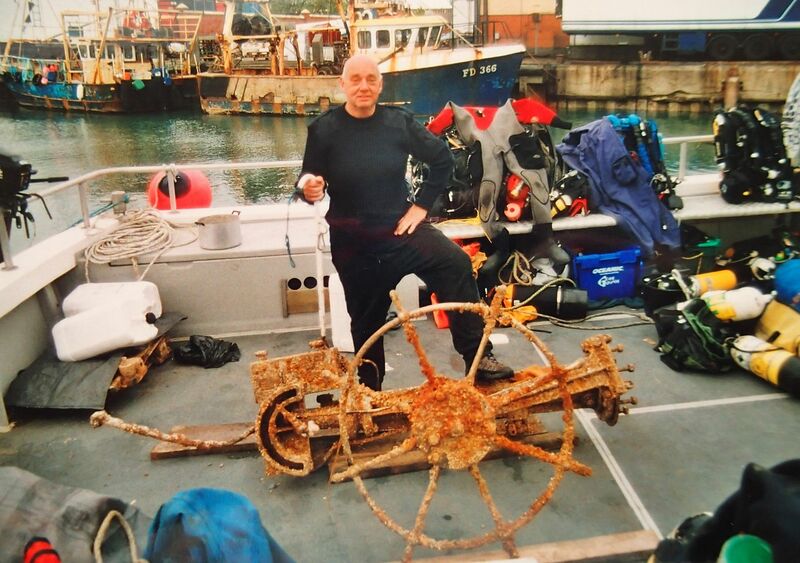 A while back we discovered a big steel emigrant wreck. She was Dutch and very important. So much so that she is now an historic monument. I recovered her builders plate and offered it to her home port museum in Rotterdam. Lord what a fuss they made of it. Was I a qualified archeologist ? Have I got photos of it in situ. Was the area set off as a grid. God I only just manage to survive at 70m let alone the rest. In the end it cost me £40 to post it to the museum. Its probably in a dusty store now. Our artifacts are threatened by trawler damage, shifting sands, corrosion, illegal foreign salvaging or whatever. Sometimes its a job even to find them again. Therefore in my view they are best retrieved though as we have seen there is little encouragement for doing that. Add to that there are only less than 100 divers in the UK with the skills to dive that deep. Should more laws come in for "protection " stuff will have to stay where it is. In truth there is no money to police this protection which at sea is almost impossible. Well I am a bit off course re the OP's thread but it leaves me to only two conclusions. Leave it in situ if its not threatened or remove it for proper conservation and the education of the public. That only applies if the latter options are undertaken. Most of all record it in photos as the OP has kindly done. Back to mine artifacts. I know of an extensive mine mothballed about 1830. It dates back to the 1790's . The shafts were capped and a drainage adit secured. The adit has now collapsed where it was built as cut and cover. Dry stone walls and lintels. We were making good progress in clearing the adit but the tenant farmer wanted evidence of insurance cover. Still waiting on that Mr fellow forum member. Must be several years now. Best of all the mine entered large natural cave with good formations. ( I have the 1790's miners description ). So there it remains a mile or so of virgin intact and preserved mine and a big natural cavern. No dont ask where as someday we might get the trolly back on the rails. C1800 blocked drainage adit to extensive 1790's intact mine. The broken lintels were being replaced by wood shuttering. All stalled now. The largest artifact our team ever recovered. Ship's telemotor. My diving buddy. Sadly gone the way of so many mates. Died diving.